Judith has picked up quite a bit about fireworks over the couple of decades she has provided IT services to Firework Professionals. 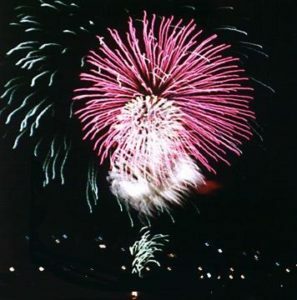 Here she shares some of what she learnt in everyday language in her Fireworks Blog. On a site dedicated to firework shows and training in fireworks it is worth taking time to answer the question “what are fireworks”? Dazzling dandelion seed fluffs in the night. Something that should only in handled/let off by professionals who know what they are doing. So that is what we do at Firework Professionals; we are poets, chemists, artists, and have obligations to keep our pyrotechnicians and our audience safe.